SriLankan lost USD 14.04 million between 2013 and 2015 as it was compelled to fly to and handle flights at the Mattala Mahinda Rajapaksa International Airport, the Presidential Commission of Inquiry (PCoI) on irregularities at SriLankan Airlines, SriLankan Catering and Mihin Lanka was informed, yesterday. 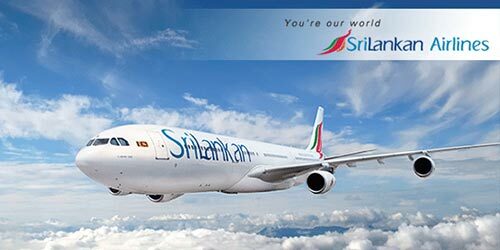 Head of Revenue Management & Planning at SriLankan, Sumudu Upatissa added that the airline had incurred a loss of USD 10.1 million during that period as it had to fly through Mattala. The airline lost another USD 3.94 million for providing various services at the airport. The entire route loss, for both the airline and the airport was USD 30.6 million during that period. Upatissa also told the PCoI that maintaining regular flights to Mattala airport was an unnecessary burden to SriLankan. “Within this period SriLankan operated 150 regular flights to Mattala,” he said. Answering a question posed by Chairperson of the PCoI, Justice Anil Goonaratne, Upatissa said, referring to documents, that SriLankan had not conducted a feasibility study on flying through Mattala. He said that the decision to fly through Mattala had been taken on February 14, 2013, at a discussion at Temple Trees. The meeting was also attended by Chairpseron of SriLankan, Nishantha Wickramasinghe and Chief marketing Officer J. T. Jayaseelan. “However, the CEO and the management of SriLankan were not happy about the decision as that led to an increase in expenditure,”Upatissa said referring to documents. SriLankan stopped flights to Mattala in January 2015 due to increasing losses. The King’s brother was offering (on TV) to pay the alleged stolen sum from the funds meant for the memorial in the south to save the skin of one of the Blue Brothers. Likewise, the King and his brother should pay Sri Lankan Airways, monies allegedly misused by the Blue Brothers and their kinsman. That’s one way the King could regain his chair.